Brent Carpenter of Winnfield, La won the American Bass Anglers Ram Truck Open Series Louisiana tournament, held April 29th on Black Lake. Justin “Coop” Cooper of Pelican, Louisiana won the American Bass Anglers Ram Truck Open Series Louisiana division tournament, held March 11th on Bayou Black. ATHENS, Ala. – The Louisiana of the Ram Truck Open Series will hold its next event of the season on March 11th, 2017, on Bayou Black near Gibson, LA. The competitors will launch at Bob’s Bayou Black, located at 164 Marina Dr, Gibson, LA. 70356. Anglers may begin fishing at safe light. The weigh-in will begin at 3 p.m. Registration begins at 4 p.m. Friday March 10th the Morgan City Auditorium. 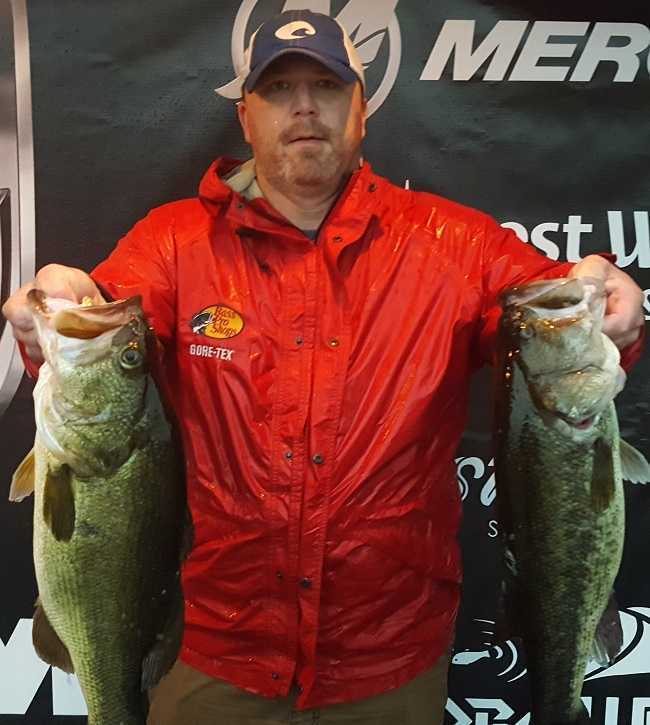 Alan Fitts of Hemphill, Texas won the American Bass Anglers Ram Truck Open Series Louisiana tournament, held February 25th on Toledo Bend Reservoir. Running out of Cypress Bend Park near Many, Louisiana, Alan caught an astonishing five fish limit weighing 28.88 pounds anchored by a beautiful 9.79 pound bass. For the Boater division victory, Fitts took home a check for $5000. ATHENS, Ala. – The Louisiana of the Ram Truck Open Series will hold its next event of the season on Feb 25, 2017, on Toledo Bend near Many, Louisiana. 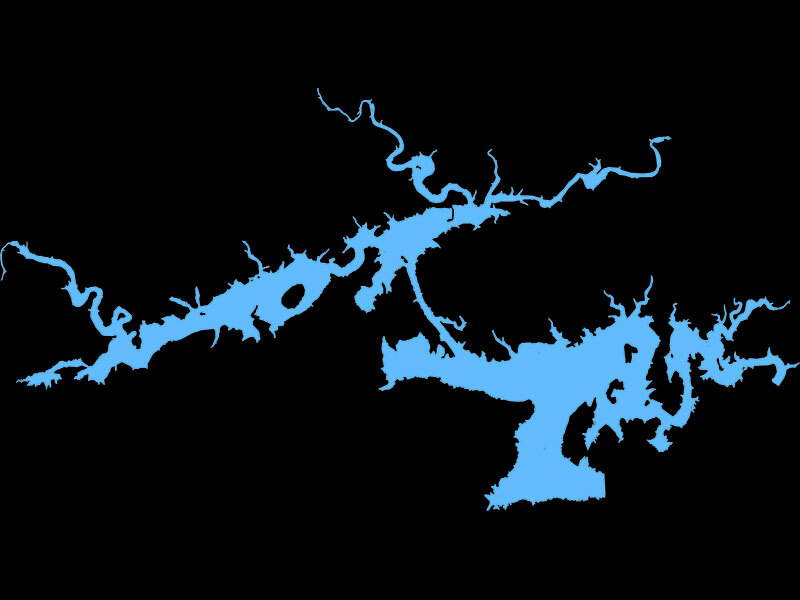 The competitors will launch at Cypress Bend Park, located at 3462 Cypress Bend Drive, Many, LA. 71449. Anglers may begin fishing at safe light. The weigh-in will begin at 3 p.m. Registration begins at 4 p.m. Friday Feb 24th at Cypress Bend Park. To register for this tournament, see us at the stage trailer by the pavilion. Wilson Couch of Donaldsville, Louisiana won the American Bass Anglers Ram Truck Open Series Texas East Division tournament, held August 6, 2016 on the Atchafalaya Basin. 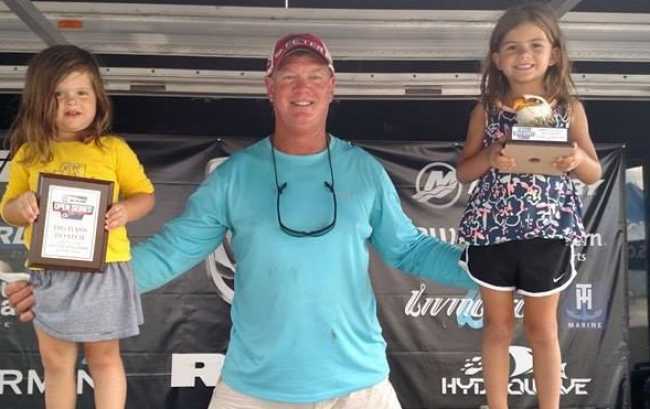 Kylie Sparks of Denham Springs, Louisiana won the American Bass Anglers Ram Truck Open Series Louisiana tournament, held June 25th on the Red River. Zack Gagnard of Pineville, LA won the Louisiana Division Ram Truck Open Series opener at Toledo Bend on February 27, 2016. 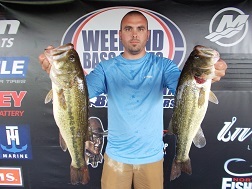 Gagnard weighed in a 21.04 pound limit of bass to win $5325. “I started down south in Housin Bay, flipping a ½ ounce black/blue V&M Pacemaker jig and caught three. I moved out deep in the mouth of White Oak and switched to a ¾ ounce V&M jig to limit out and cull up. Then, I stopped in Pirate’s Cove and caught a five pounder off of a bed for my last cull. I had a decent day catching about 20 to 25 fish and culling about 10 times. On Thursday, I had around 26 pounds with one of them pushing 10 pounds. Today was a lot different. High pressure really changed the bite, but weather was beautiful. This tournament was ran very smoothly and the entire ABA staff did a great job, especially with take-off this morning,” said Ganard. Eric M. Gilchrist of Plaquemine, LA won the Abu Garcia Revo Big Bass Bonus after using an Abu Garcia reel to catch his 4.87 pound Big Bass at the August 1st & 2nd, 2015 Ram Weekend Bass Series event at Toledo Bend. He was awarded an Abu Garcia Revo SX reel valued at $159.99. The Abu Garcia Revo Big Bass Bonus is an incentive program that applies to selected American Bass Anglers events. The Abu Garcia Revo Big Bass Bonus program applies to all Ram Weekend Bass Series events and Ram 100% Plus Team Tour events along with each competition day of the Military Team Bass Event, American Couples Series National Championship, Ram American Fishing Tour National Championship, and the Ray Scott Championship. There is no fee to participate in this program. Anglers that use any model Abu Garcia reel to catch the prevailing Big Bass at qualifying American Bass Anglers events will be awarded a new Abu Garcia Revo SX reel valued at $159.99. Abu Garcia has created an incentive program without any associated fees, registrations, or claim forms to be filled out. Chad Porto of Donaldsonville, LA won the Louisiana South RAM Weekend Bass Series event on May 30th, 2015 at the Atchafalaya Basin out of Doiron's Landing. His winning limit of 14.01 pounds was worth $1200 for first place and $330 from the High Stakes Option Pot. "I was worried for a minute. My co-angler had a limit before I even had a keeper. I was flipping cypress trees," said Porto. 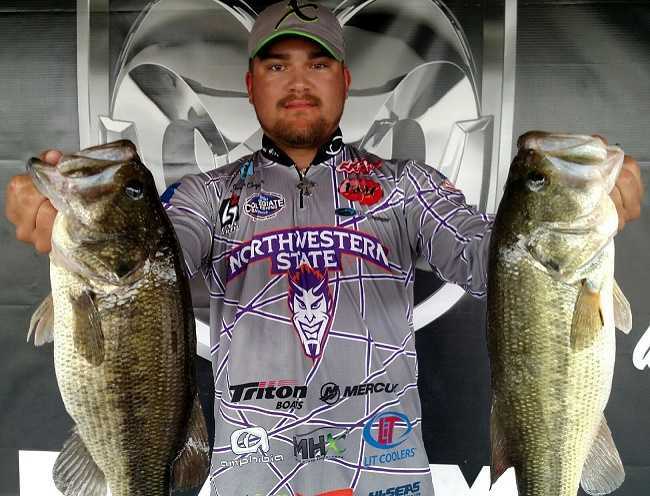 Tyler Rivet of Raceland, LA finished in second place with 12.02 pounds and had the 4.94 pound boater Big Bass winning $565 and $160 for Big Bass. "It sucked at the beginning. I didn't think that I was going to do anything and then at 1:00, it turned around after I changed baits. I caught the Big Bass on a crankbait in a cut," said Rivet. 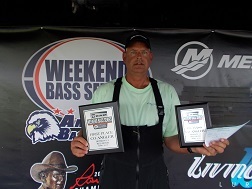 Duane Pittman of Prairieville, LA finished in third place with 10.75 pounds winning $350. 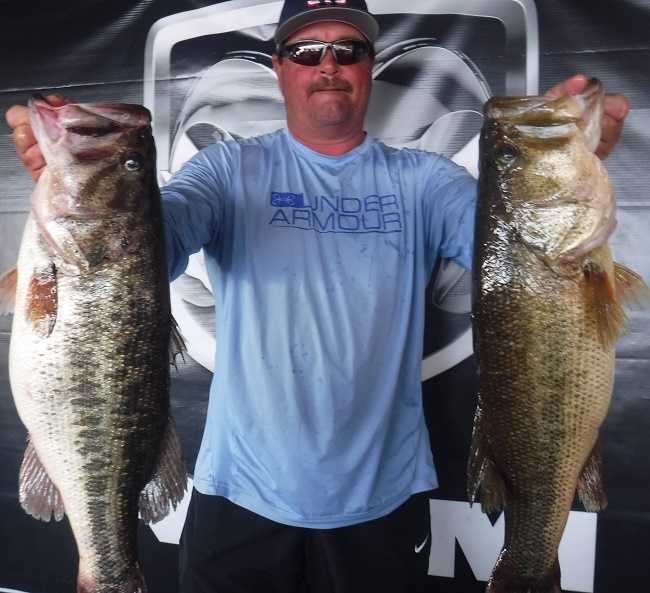 Chad Concienne of Franklin LA won the co-angler side with 8.09 pounds. Concienne won $575 for first place and $165 from the High Stakes Option Pot. Concienne used a spinnerbait to catch four bass during the day. Leroy Keating of Ponchatoula LA finished in second on the co-angler side with 7.97 pounds and the 5.24 pound co-angler Big Bass winning $263 for second place and $75 for Big Bass. Keating was also awarded a new Abu Garcia Revo SX reel valued at $159.99 through the Abu Garcia Revo Big Bass Bonus program after using an Abu Garcia to catch the Big Bass of the event. "It was tough. We did a lot of punching. Basically slow, real slow. I had four keepers all day," said Keating. Alan Yedor of Gretna LA finished in third place on the co-angler side with 7.43 pounds winning $163. Don Dickerson of Pineville, LA was the winner of a $100 Best Western Travel Card at the May 30th, 2015 RAM Weekend Bass Series event at the Atchafalaya Basin. Dickerson lodged at the host Best Western hotel during the event and he was entered into the Best Western Travel Card drawing. There is a drawing for a $100 Best Western travel card at every RAM Weekend Bass Series event that has a Best Western host hotel. Anglers must bring their Best Western hotel receipts to registration to enter the drawing. Best Western Hotels offers an incentive reward program to ABA anglers for staying at Best Western hotels during ABA events. 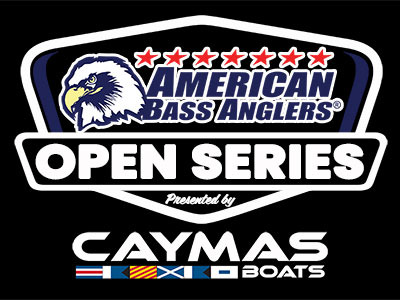 Drawings will be held at all RAM Weekend Bass Series events and all ABA National Championships. At registration, anglers simply need to bring a copy of their receipt from the Best Western hotel that they are lodging at during the event to be entered into the drawing. This program will continue for the entire 2015 season. To learn how you can win a Best Western Travel Card visit this link. Leroy Keating of Ponchatoula, LA won the Abu Garcia Revo Big Bass Bonus after using an Abu Garcia reel to catch the 5.24 pound Big Bass at the May 30th RAM Weekend Bass Series event at the Atchafalaya Basin. He was awarded an Abu Garcia Revo SX reel valued at $159.99. The Abu Garcia Revo Big Bass Bonus is an incentive program that applies to selected American Bass Anglers events. The Abu Garcia Revo Big Bass Bonus program applies to all RAM Weekend Bass Series events and RAM 100% Plus Team Tour events along with each competition day of the Military Team Bass Event, Couples Series National Championship, AFT National Championship, and the Ray Scott Championship. There is no fee to participate in this program. Anglers that use any model Abu Garcia reel to catch the prevailing Big Bass at qualifying American Bass Anglers events will be awarded a new Abu Garcia Revo SX reel valued at $159.99. Abu Garcia has created an incentive program without any associated fees, registrations, or claim forms to be filled out. Austin Abadie of Gonzales, LA won the Louisiana South RAM Weekend Bass Series event on April 18th, 2015 at the Red River out of Grand Encore. His winning limit of 13.20 pounds contained the 4.29 pound Big Bass of the event. 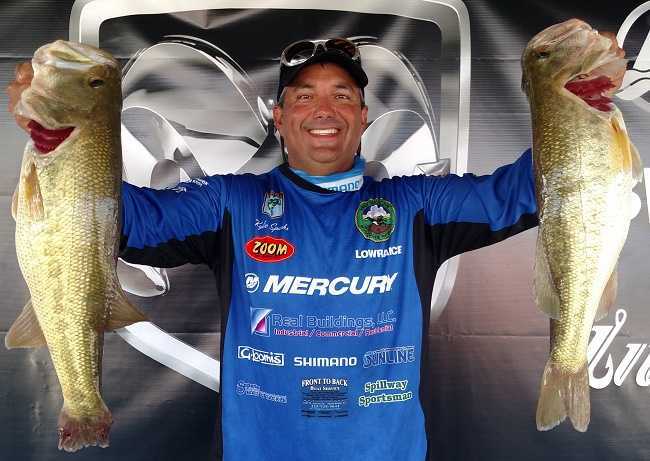 Abadie won $1439 for first place, $220 for Big Bass, and $425 from the High Stakes Option Pot. He also won a new Abu Garcia Revo SX reel valued at $159.99 for using an Abu Garcia reel to catch Big Bass. "I had a pretty good day with a lot of bites. Caught all of my fish on a frog using a Falcon rod and an Abu Garcia Revo reel," said Abadie. Derek Hudnall of Baton Rouge, LA finished in second place with 13.11 pounds winning $733 and $255 from the High Stakes Option Pot. "I caught a lot of fish and probably had a limit within the first 15 minutes of this morning. The fish bit today and I had fun. Everything came flipping," said Hudnall. Brett Sellers of Denham Spring, LA finished in third place with 12.37 pounds winning $497 and $170 from the High Stakes Option Pot. "I noticed oil on my lower unit this morning so I only ran to the first oxbow from the ramp and caught my fish there," said Sellers. Randy Radar of Morgan City, LA won the co-angler side of the event with 6.13 pounds and the co-angler Big Bass weighing 2.96 pounds. Radar won $600 for first place, $65 for Big Bass, and $135 from the High Stakes Option Pot "I had my limit by 7:30 this morning and I probably caught four limits throughout the day. Missed some good fish, but I'm happy with what I had. It was a good day of fishing," said Radar. Jeff Cox of Walker, LA finished in second on the co-angler side with 6.10 pounds winning $325 and $90 from the High Stakes Option Pot. Cox used spinnerbaits and crankbaits for his catch. Dustin Jumonville of French Settlement, LA finished in third place on the co-angler side with 5.81 pounds winning $200.